I am so excited for the camping season to begin here that I just keep creating more camping themed activities and printables. This Camping Menu Planner will come in handy for our weekends and 2 week getaways to Lake Champlain. We have been camping there for close to 10 years now. It is such a beautiful place to go and decompress for awhile. Life at home is hectic with 6 children so it is relaxing to go spend time at the camper. One thing that is a bit stressful is planning the menu for 8 people before we leave. I have tried to just leave for camp and shop when I get there which tends to be expensive and full of junk food. When I plan ahead, it allows me to relax even more when we get there. You can download your FREE Camping Menu Planner at the bottom of the post. Breakfast: oatmeal, mini boxes of cereal (treat for the kids), frozen pancakes (another treat) and eggs. Lunch: sandwiches, cup o noodles (camping food) and bagels. Dinner: penne with sauce, chicken sandwiches, hamburgers, bratwurst and pizza monkey bread (pizza dough in small balls, sauce and mozzarella cheese). I should have added an additional section for appetizers. We LOVE appetizers when we are camping. Fresh clams on the BBQ are our tradition. We usually add a plate of different cheeses and dried salami. Add a glass of red wine and it is pure BLISS! We have less than a month before we can open up the camper. Now to find the time during the school year to get away on the weekends. 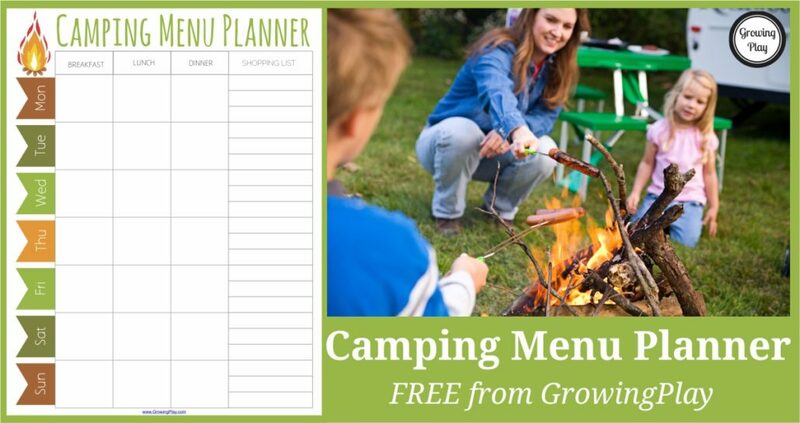 DOWNLOAD YOUR FREE CAMPING MENU PLANNER below by entering your email address. 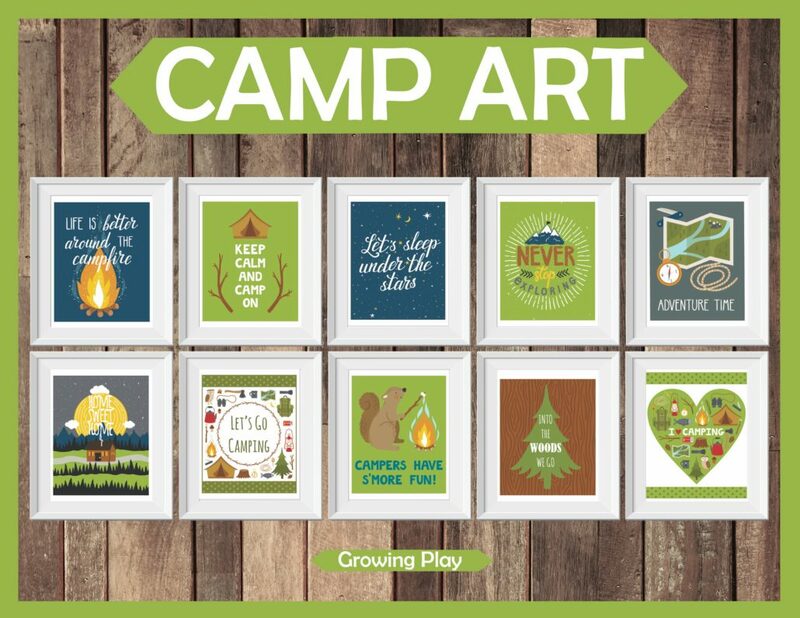 If you need activities to bring along for the kids on rainy days or for downtime check out the Camping Games and Activities packet. Looking for decor to decorate your home or camper? Check out my Camp Art. Love Camping? Then you will love this Camping Art to display in your home, cabin or camper.